"Built Up To A Standard, Not Down To A Price"
Champion Gun Safes are built to be the most secure, highest quality top rated gun safes found in America. 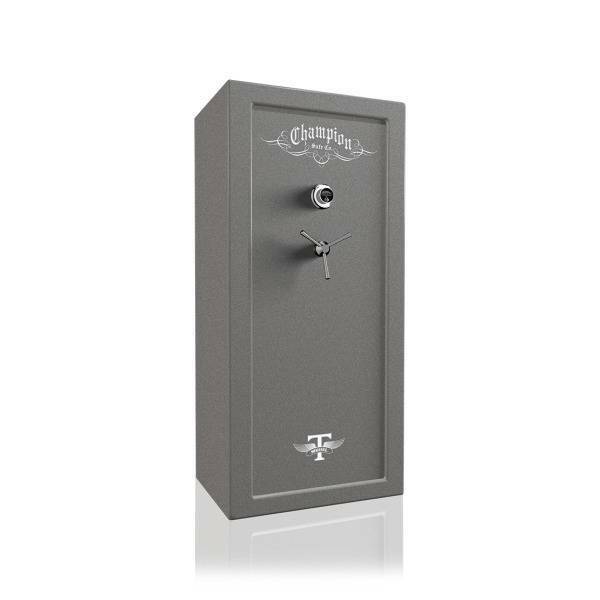 Champion still builds gun safes for sale the old-fashioned way, heavy and tough, with thick American-made high-strength steel! 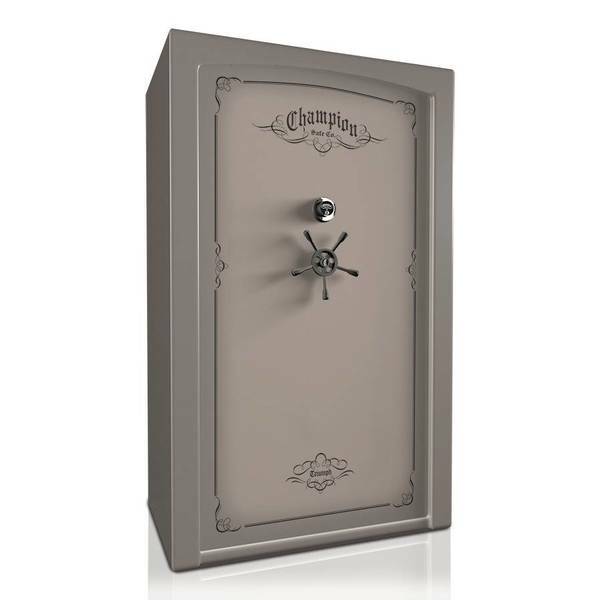 Champion Gun Safes are “Built up to a standard, not down to a price”. That’s why Champion gun safes are the heaviest, strongest, and most secure gun safes on the market. The old saying “You get what you pay for” never had more meaning than when you are purchasing a safe. Sometimes the price difference between a low quality and excellent quality gun safe, isn’t very much, an amount you probably won’t remember a year or two from now. A few dollars more can purchase a higher quality safe offering greater security, satisfaction and lasting value. 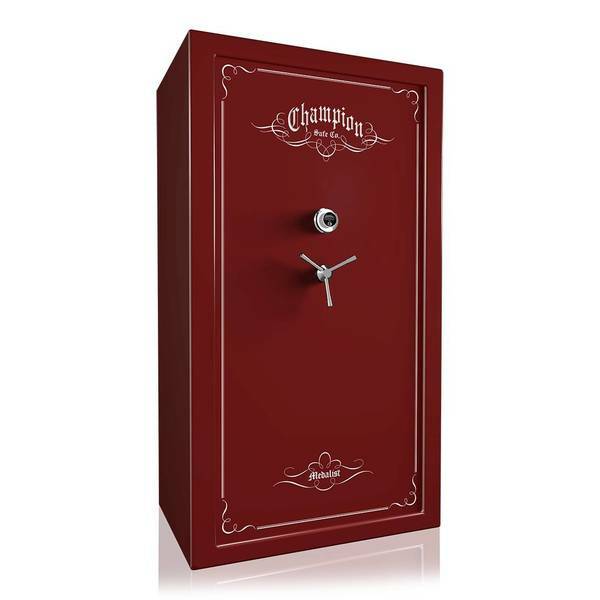 Champion gun safes come in a variety of sizes along with different levels of fire and security protection. Come in to our showroom and see a great selection of gun safes by Champion on display in one location. One of our friendly, professional safe experts can help you find the safe that will fit your needs perfectly and at a price that will fit the budget. Buck’s Gun Rack also has FREE* delivery and set up of your new safe with our own in-house delivery crew. Come on in and lets us find the gun safe right for you.